A judge approved an anti-trust settlement related to e-book pricing with three major publishers Wednesday. A federal judge approved an anti-trust settlement Wednesday with a trio of major publishers that could pave the way for lower e-book prices. Hachette Book Group, CBS's (CBS)Simon & Schuster and News Corp.'s (NWSA) HarperCollins agreed to the settlement earlier this year, to resolve allegations that they had colluded with Apple (AAPL) to prop up the price of e-books. Spokespeople for all three publishers declined to comment. The suit from the Department of Justice stems from the 2010 release of the iPad, when Apple reached an agreement with the publishers to release books via its new iBookstore. 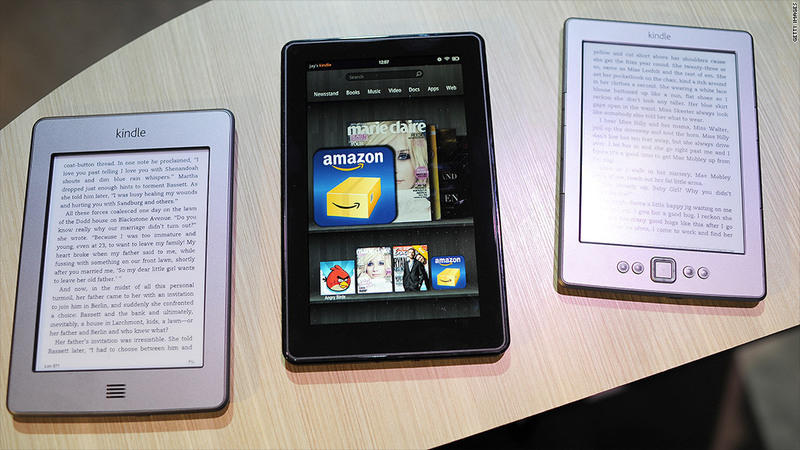 Before the release of the iPad, Amazon's (AMZN) Kindle was the preeminent e-book reader on the market. Amazon forced publishers to sell most books at $9.99. According to the Department of Justice, booksellers were unnerved by the discounted e-book price structure Amazon launched in 2007. The publishers went to Apple in late 2009 to find a way to force Amazon to raise its prices. The iPad proved to be the perfect tool to accomplish that. The alleged conspiracy placed many books at so-called "agency pricing," putting them on the market for about $12.99 and giving Apple a 30% cut. About three days later, Amazon allowed publishers to set their own prices, resulting in higher prices on the Kindle as well. The DOJ has alleged that as a result of the arrangement, e-book customers paid between $2 and $3 more per book, amounting to upwards of $100 million more than they otherwise would have. Apple said in a court filing last month that it would likely appeal the approval of the settlement. The tech giant, as well as publishers Macmillan and Pearson's (PSO) Penguin, have opted not to settle, and their case is set to head to trial next June. As part of the settlement, HarperCollins, Simon & Schuster and Hachette are required to grant retailers like Amazon and Barnes & Noble (BKS) the freedom to reduce prices, and may not sign contracts with retailers for the next two years that restrict such pricing decisions. For the next five years, the publishers may not enter into contracts with retailers that contain "most favored nation" clauses, which prevent the publishers from selling to other retailers at lower prices. The publishers will also be forced to tear up their current "agency pricing" agreements with Apple, as well as other deals with retailers that contain pricing restrictions. "The settlement will begin to undo harm and restore price-competition," Sharis Pozen, head of the DOJ's antitrust division, said earlier this year. "It will result in lower e-book prices and provide a more open and fair marketplace." In approving the settlement, Judge Denise Cote dismissed concerns that the settlement would allow Amazon to crowd out its competition in e-book sales, saying such fears weren't relevant to the facts of the case. "It is not the place of the Court to protect these bookstores and other stakeholders from the vicissitudes of a competitive market," she wrote. Apple and Macmillan did not immediately respond to requests for comment, while Penguin declined comment.